A new Margarita recipe that tastes absolutely divine! 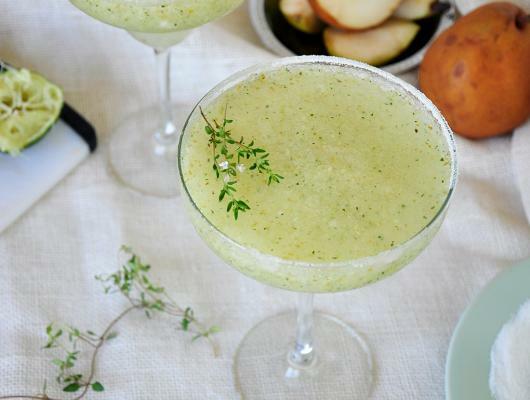 This Frozen Pear & Thyme Margarita perfectly pairs with a hot Summer day. This blender drink is cool, yummy, and has all of the great flavors of a classic margarita... kicked up a notch. Pears are such a great fruit and putting it into a cocktail such as a margarita just accentuates the awesomeness. 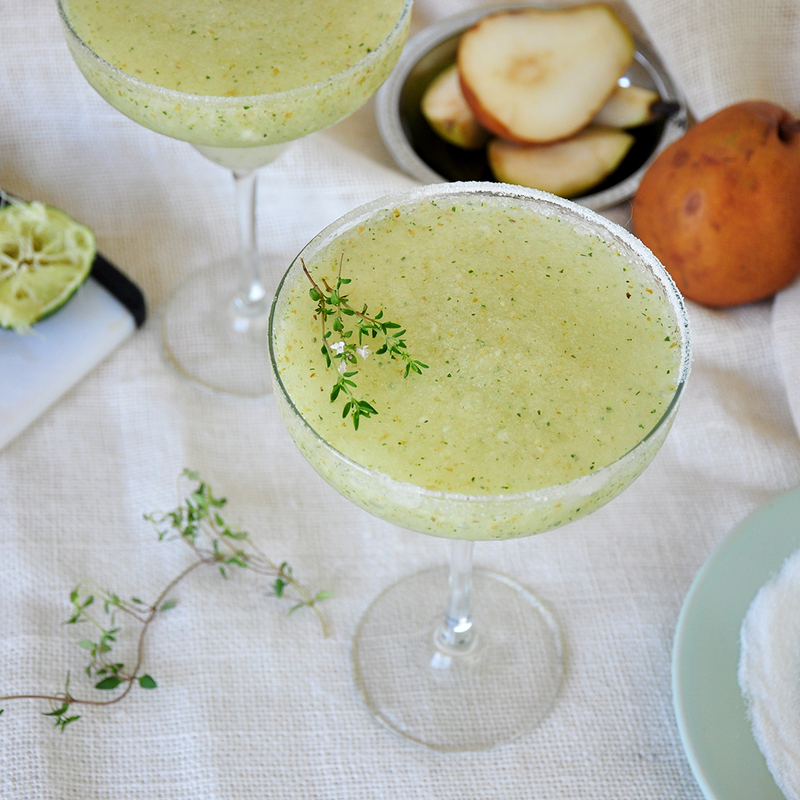 Thyme is such a good partner for the pear and putting them together into an adult cocktail is perfect. Give this drink a try!